27 April 2018 Unlocked content from the archive. In The Knowledge Solution: Politics, editor Michelle Grattan presents a range of views dissecting today’s most pressing political problems. 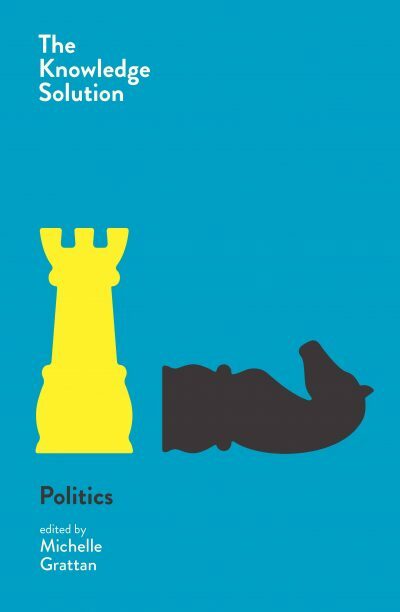 A heavy artillery of top-brass contributors such as Paul Kelly, Peter Van Onselen, Maxine McKew and Noel Pearson discuss the perils of minority government, the need for reform of our political system, the media’s role in debasing debate, the decline of trust in politics and so on. All the pieces here are culled from Melbourne University Publishing titles of the last five years or so (the exception is one piece on Pauline Hanson from 1998), and the book reads much like an MUP sampler. The style of writing traverses the technical and academic, the partisan (Tony Abbott, Bill Shorten and Terri Butler all make appearances), and the insightful and original. Katharine Murphy’s piece on the tough workload endured by politicians performs the miracle of making the reader feel empathy for our political class, while Jonathan Green writes persuasively about how the media has helped foster a cynical attitude in the electorate. The Knowledge Solution is a mixed bag, covering an eclectic range of issues, and will be of use to those who care deeply about the current state of Australian democracy.